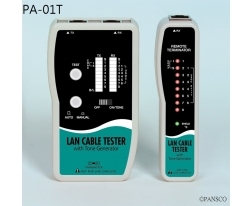 The LAN Cable Tester with Tone Generator is a perfect companion for any network professional. 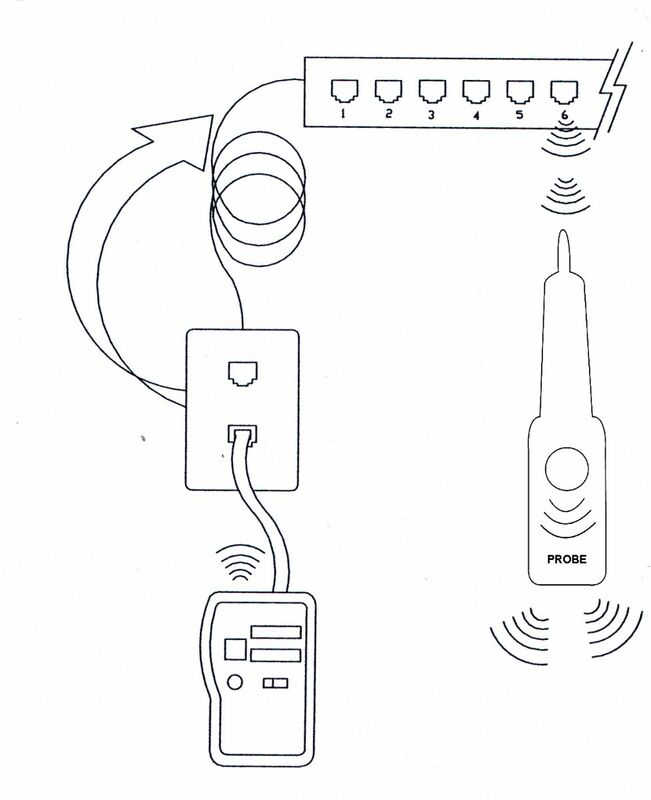 The tester can enhance one’s ability to quickly locate and verify the status of commonly used voice and data cables. 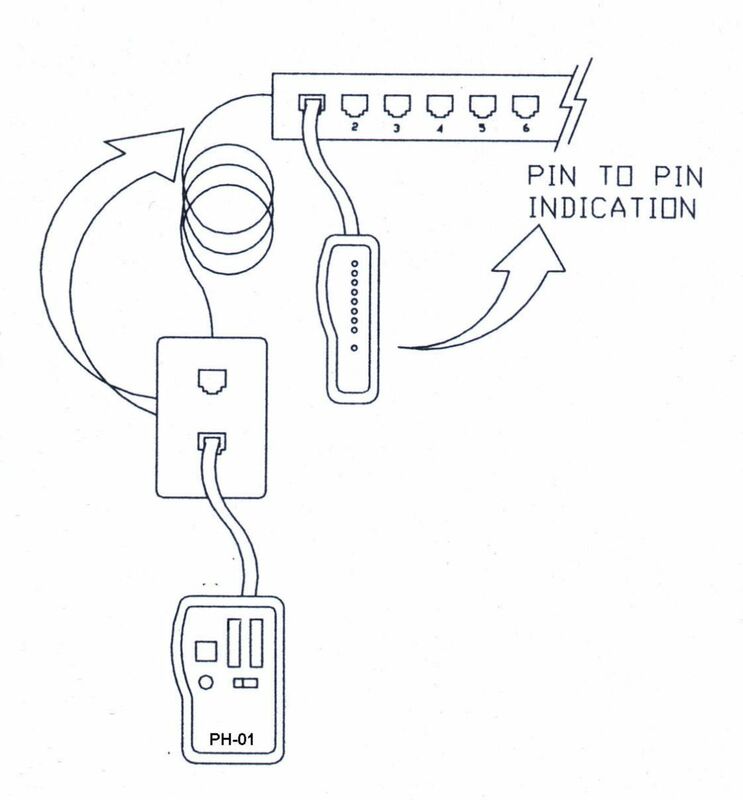 It can perform loop-back or remote tests of network cables, displaying the results on an LED display, which moves from pin to pin automatically or manually. Its applications include testing cable and shield integrity and tracing cable. The tester comes complete with adapters for testing 10 Base T, E1A/T1A 568A/B, AT & T 258A, 100 Base-TX, Token-Ring, ISDN, USOC, and coaxial networks. 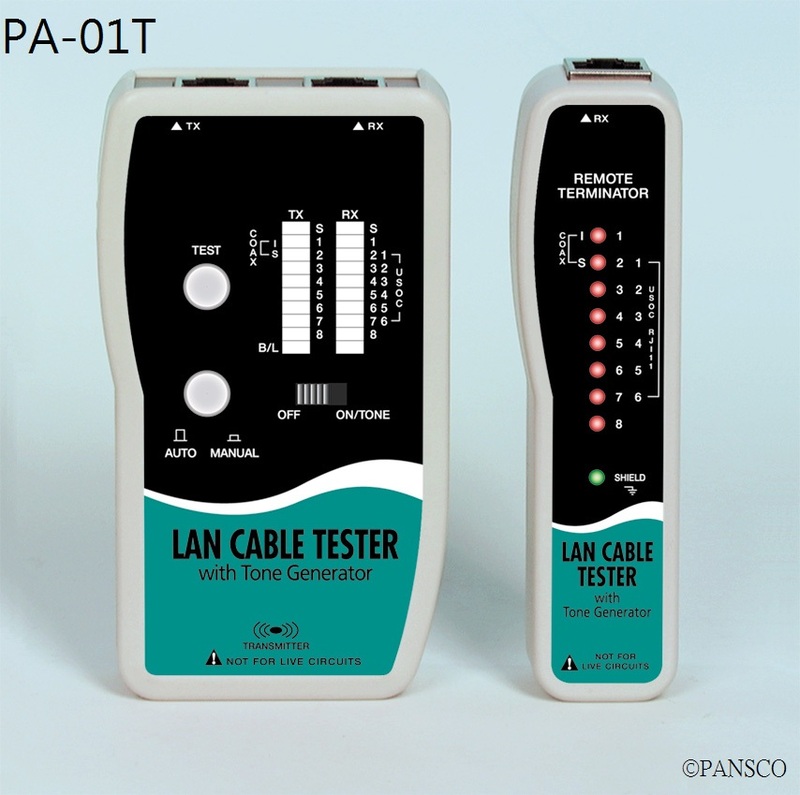 Other optional adapters such as RT45-USB, RJ45-IEEE1394 and F-BNC can also be added to expand the LAN Cable Tester’s functionality. Built-in tone generator for cable tracing & identification. Patch panel and wall plates can be easily tested with the included RJ45 adapterpatch cable. Battery low indicator prevents misreading results.